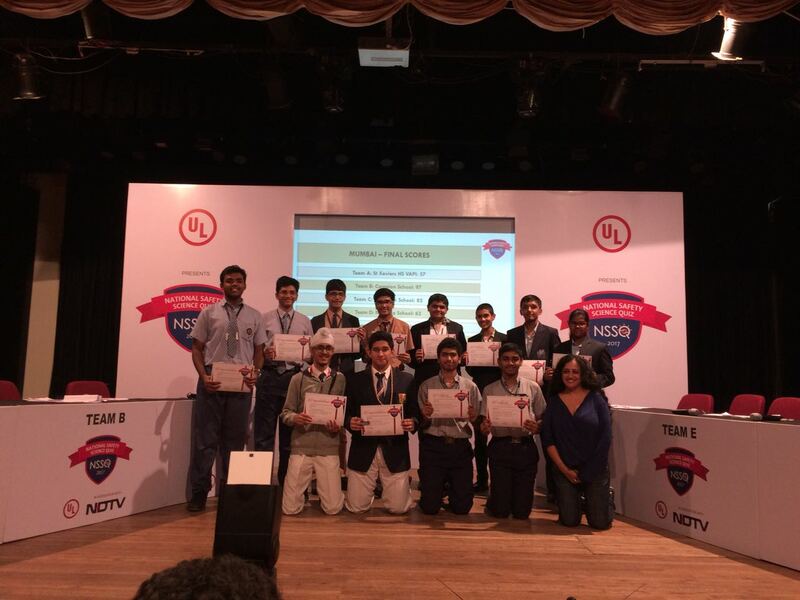 Today 52 teams that participated in the NDTV, Zonal level, National Safety Science quiz held at Mumbai. Our school Team comprising Riya Panchal (IX) and Reuben George (X) had cleared the written rounds and qualified for the on stage quiz competition. In the fierce competition that took place between the 6 teams, our team / students were ranked 2nd runners up. The quiz master highly appreciated the participants skill and knowledge. Vandan Bhuva and Jeet Shah had also participated in today's written rounds. Congratulations to all.